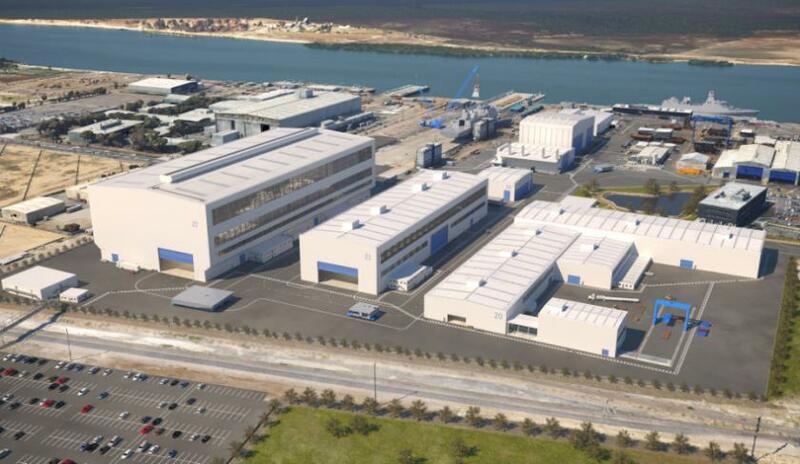 With delivery phase works scheduled to commence in the second quarter of this year, expressions of interest have now opened for trade works on the Osborne Naval Shipbuilding Precinct infrastructure project. Lendlease's South Australian Building Unit was awarded the managing contractor role for the $535 million, large-scale project last year. Under the project, new facilities will be required to support the continuous build programs for Australia's Future Frigates and Future Submarines. The federal government has estimated up to 600 construction jobs will be created by this project. At the announcement of Lendlease as the managing contractor last year, Minister for Defence Industry Christopher Pyne said that the so-called shipbuilding valley of death has ended and South Australians were now seeing the tangible benefits of the government’s historic $90 billion naval shipbuilding program. "For the first time in over a decade we are seeing jobs created at Osborne, with up to 600 construction related jobs to be created on the Osborne South Shipyard project," Minister Pyne said. "The valley of death is over and we are now seeing [an] upturn of employment in naval shipbuilding in our state that will only continue to increase as these new projects gain momentum." The expressions of interest to be consideried for tendering of the trade works close on Friday, 16 March. The invitation to register is the first of a two stage project. Lendlease will then select tenderers for particular trade packages from those that register interest. An industry briefing for the project will be held on Tuesday, 6 March 2018 from 8am to 10am in Adelaide. Businesses interested in registering their interest can do so via the ICN Gateway website.